We have good news for WooCommerce Chase Paymentech merchants! 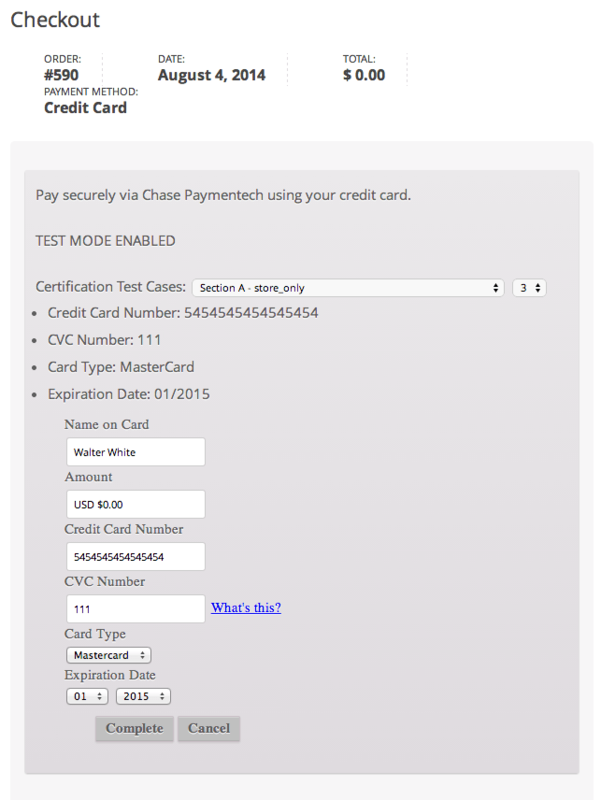 Our WooCommerce Chase Paymentech Orbital gateway has been updated to version 1.1 to add a “certification mode” for faster setup and certification via Chase. When the extension was released, it was pre-certified by Chase with the understanding that merchants would not have to complete this process. However, Chase’s policies on certification changed shortly after the plugin was launched. All merchants are now required to complete test cases with the plugin, then submit these to Chase to get API credentials to ensure the integration is secure. Merchants must also undergo quarterly PCI scans for maximum security. The good news is that our plugin was already built with this Orbital certification in mind, as we went through all test cases ourselves to certify the extension. 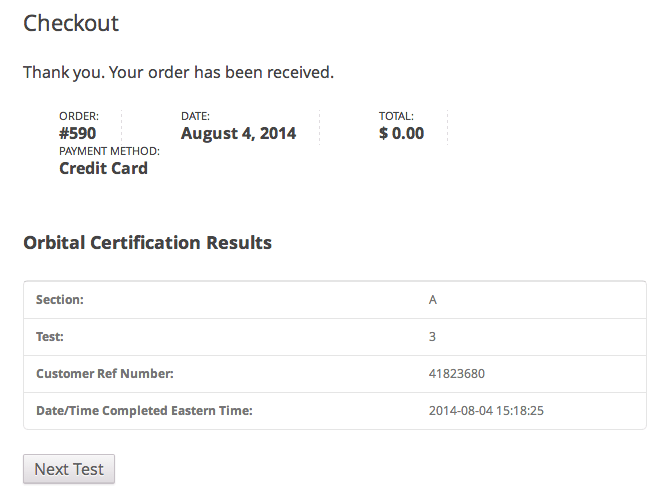 We’ve know added a UI for that testing to make it easy for merchants and developers to complete these test cases. The first thing to do is to sign up via the WooCommerce tracking link for your Chase account. This notifies Chase that you’ll be using the WooCommerce integration for faster setup of your Orbital test account. If you have an existing Chase account, you should contact them to tell them you’ll be using the SkyVerge / WooCommerce Chase Integration for WooCommerce to get your test credentials. You can then follow our certification mode guide for instructions and information on completing the test cases. The plugin will handle most of the work, but you’ll need to record the responses it outputs for each test case. You can complete the certification tests for basic transactions, as well as additional tests for tokenization (if you’ll be storing cards, and/or using stored cards for Subscriptions and Pre-Orders). 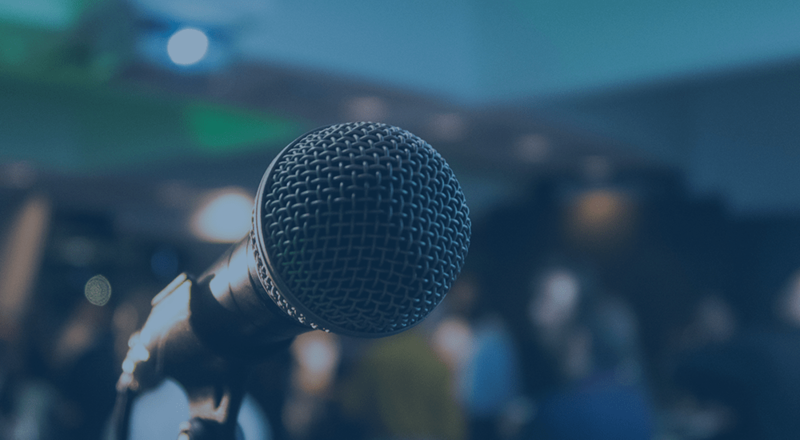 The best part is that these test cases can be completed on a staging site – the testing site simply needs to be publicly accessible using your test credentials so data can be sent to Chase. Once you’ve completed the certification mode, you can submit the documentation to Chase and await your shiny new API credentials! All-in-all, this certification process was an intensive task, so we’re very thankful for the merchants that went through this process with us in order to help finish the certification mode UI. This has made it far easier for Chase certification to be completed.